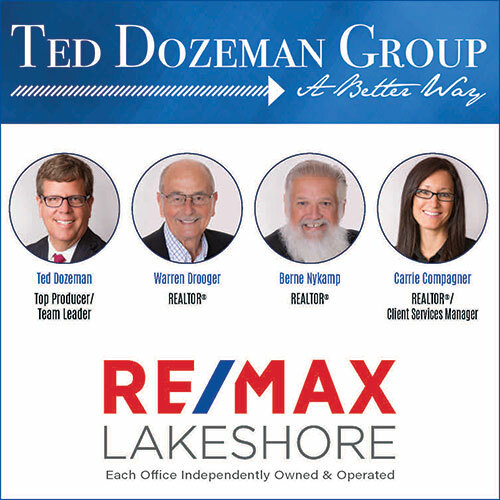 A contemporary Lake Macatawa home, with 110 feet of waterfront and permanent deep water docks and steel seawall is located in a safe, picturesque location. Waking to the beautiful sunrises, wildlife and serene ripples of the water is a place to realize. The renovated home features a panoramic view off several living spaces overlooking the lake. This 5 bedroom, 4 1/2 bath home also includes a gourmet kitchen and appliances, library, wet bar, or private guest suite that includes fireplace, private stair access, and kitchen, plus 4 fireplaces. The walkout lower level includes a spa, where a hot tub and sauna await. With unbeatable cathedral ceilings and modern architectural decor, this lakefront home awaits it's new owner.